I warned the president of our synagogue at the time — when the synagogue sent out an official email advertising the demonstration — that it looked to me like the Jewish community was being manipulated by people who do not have our best interests at heart. And sure enough, we now have the government’s chief propaganda officer (officially environment minister) Michael Gove arguing that the government really didn’t do anything so terrible in hounding and deporting elderly Black people, because the real scandal is Jeremy Corbyn’s six-year-old tweet. The Jews and their concerns have become a political shield for the government, and a weapon against other minority groups who have suffered real and extraordinary injury at the hands of that government. Antisemitism is a real issue in this country, but it is not ever and always the most salient form of racism. Allowing it to become identified with one political party, and used as a weapon to attack the interests of other minority groups, is not going to serve the long-term interests of British Jews, or British democracy. 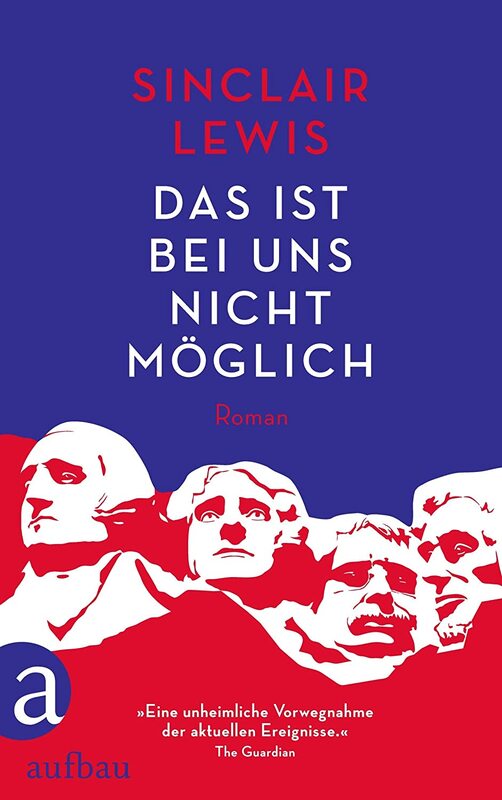 I happen to have just noticed that there is a new German edition of Sinclair Lewis’s It Can’t Happen Here. I wonder what motivated it? I was struck again, in reading Amos Oz’s account of his childhood and family history, how his aunt told of welcoming the prospect of German conquest of her Lithuanian homeland: The Germans wouldn’t tolerate the sort of barbaric chaos that the Jews were subject to. The Germans might be antisemitic, but they had always proved themselves to be civilised and orderly. Too many people lazily learn the wrong lesson from the inability of Jews and others to recognise the full dimensions of the Nazi menace. The problem, they suggest, often in cheap jokes, is the failure to recognise the profound taint of the German soul. The real lesson should be, it seems to me, you never can tell. Past performance is no guarantee of future results, as they like to say in finance. The Germans descended into the most horrible racist violence in the 1930s and 1940s. Their children and grandchildren have built one of the most securely democratic and humane nations in the world. Britain pioneered annihilationist antisemitism in the Middle Ages, then moved on to a more benign view of Jews as being almost white people, potential allies in subjugating the genuinely inferior races. Is there anything in the British soul that will make them resist when the EU offends their amour propre and the Daily Mail is baying for mass expulsions? The question answers itself. Yet another article pointing out how Donald Trump seems to be surrounded by antisemites. But none of these articles seems to recognise that they may just seem like antisemites by comparison, because of their proximity to the least antisemitic person you’ve ever seen (TM). Hatred and hate-motivated violence of any kind have no place in a country founded on the promise of individual freedom. The President has made it abundantly clear that these actions are unacceptable. The White House on Monday denounced a spate of threats made against Jewish Community Centers around the country. For context, this comes after the president explicitly refused to comment last week, and instead attacked the reporter for raising the question. Given that pressure has been placed on the president precisely because he has not made the position of his administration clear, this statement seems less a forthright condemnation of the threats than an explicit refusal to make the president’s position any more “abundantly clear” than he already has. This is a common political trope, and I’m never sure how to interpret it. I guess it’s supposed to put to rest accusations that one has not yet denounced whatever one was supposed to denounce, while not thereby accepting the accusation that one has failed to denounce it in the past. But it can come off seeming like another refusal, still giving comfort to those who were supposed to be denounced. That’s especially true in this case, where the statement also fails to say anything about the particulars of these incidents: It condemns violence — in fairly anodyne terms, it must be said — but not threats, which are the particular issue here, and once again refuses to explicitly mention Jews.